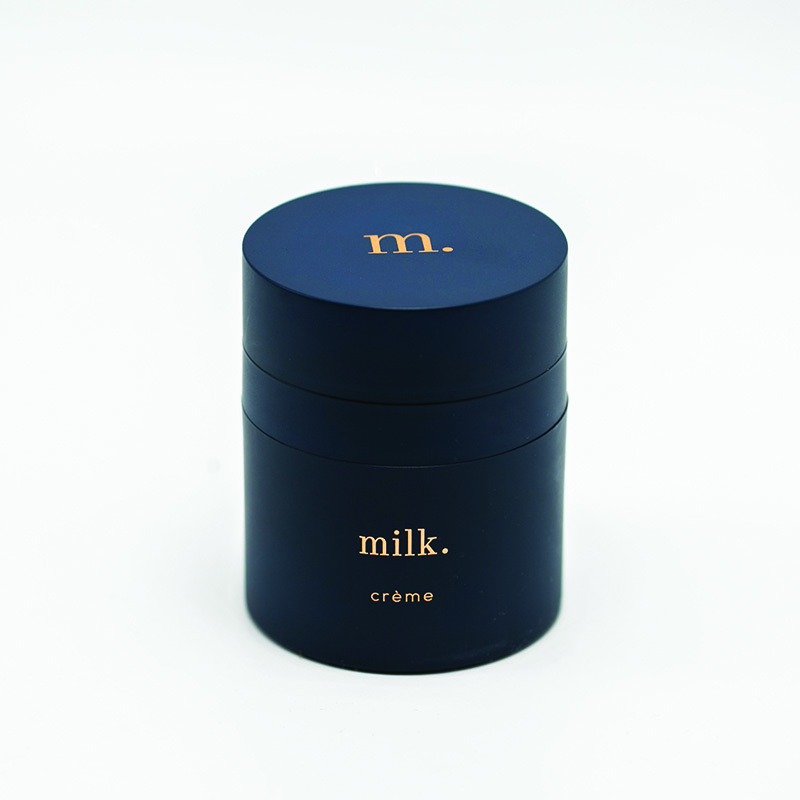 Milk Creme is moisturizer for face or any areas on the body with a Fresh clean fragrance. What it is: Milk Creme contains 16% natural milk components and moisturizes the driest of skins, leaving you with a youthful glow. With its combination of the alpha-hydroxy lactic acid and vitamins A and E, it gently penetrates the skin surface and helps exfoliate and release dead skin cells. This helps promote healthy skin cell turnover and reduces fine lines and wrinkles. It is non-comedogenic and absorbs into the skin quickly without a lingering greasy feeling. Milk Creme is alcohol free and contains allantoin, jojoba oil, and rhodopsin oil, which are all natural and beneficial to the skin. How you use it: Apply Milk Creme nightly after cleansing and toning to your face, neck, and any areas on the body that are dry or dull.We recommend nightly use. For best results, cleanse with our Milk Cleanser and prep your skin for moisture with Milk Toner for healthy, radiant skin. Tip: Excellent for dry skin conditions, sunburnt or damaged skin as well as scar tissue and stretch marks.